At the Universal Advertising Agency on the Strand, London, a murder is being planned. Three men have been discovered taking bribes and face the grim prospect of the dole queue, unless they can get rid of the person who caught them. Their ringleader, thick-set and vicious Mr Morris, soon discovers that killing is far easier than he thought - and that he even has a talent for it. He might, he feels, be superhuman. But as he will discover, there is no such thing as the perfect crime, and no deed goes unpunished. 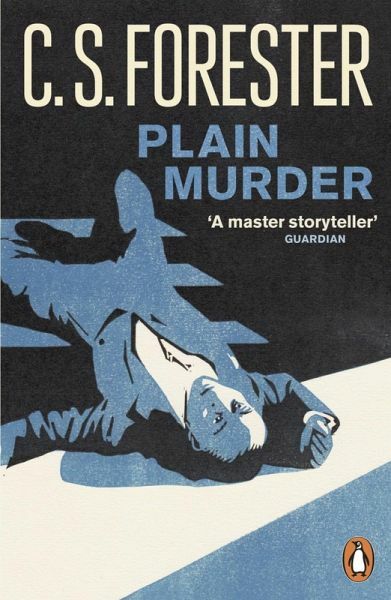 Taking us into a 1930s London of grimy back streets, smoky cafes and shabby rooms, Plain Murder, C. S. Forester's second crime novel, is a brilliantly atmospheric and gripping portrayal of the dark heart of a killer.